Viwa Island Resort is a Fijian resort of exotic beauty. Incorporated in the beautiful Yasawa Islands and approximately 48 nautical miles northwest of Denarau, Viwa Island is pure heaven. Its location, surroundings and ecologically friendly environment, not to mention the local Fijian hospitality, make it the place to get away from the stress of everyday life and allow you to enjoy that island holiday you have always dreamed about. Experience the real untouched Fiji! The resort has been designed to enhance and complement the island’s beautiful surroundings, combining a modern and contemporary look with a traditional Fijian influence. Viwa Island Resort has 11 beachfront bures. 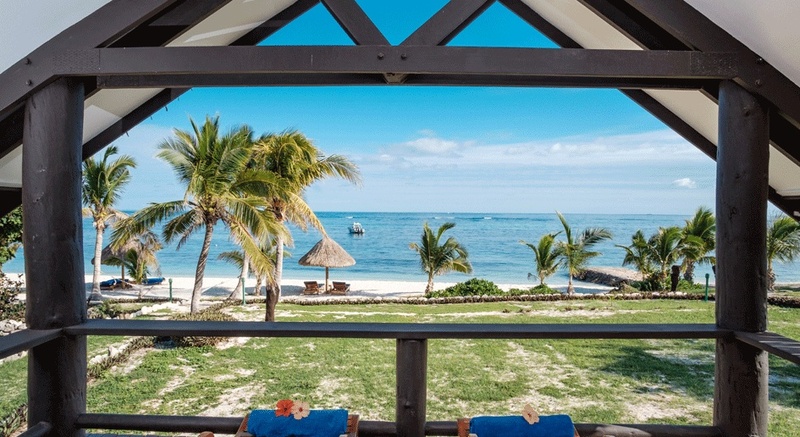 There are eight Deluxe Beachfront Bures and three Deluxe Two Bedroom Beachfront Bures. They are all traditional Fijian style bures with thatched roofs and high vaulted ceilings. There is a wide range of complimentary activities available for your enjoyment at Viwa Island Resort. Snorkeling is a very popular activity at Viwa. You can swim straight off the beach out to the edge of the reef where you will see a myriad of colorful fish and coral. Snorkels, masks and fins are all provided complimentary. They have regular visits to the village called Naibalebale. This village is situated right beside the resort. It is an easy 5-10 minutes walk. It is one of the few remaining traditional Fijian villages. It is quite a large village and has its own school. You have the opportunity to hear the children sing and also, if desired, you can purchase items from the shell markets set up by the different families in the village. There are a number of cultural activities at the resort that you can participate in if you wish, such as hat and basket weaving, sulu tying lessons and coconut husking. Kayaks are also provided complimentary for your enjoyment. Enjoy a paddle in the pristine, crystal clear waters. A number of beach games are played regularly including beach volleyball and petanque (boules). Another popular activity is handline fishing. This is also complimentary. We have a daily fishing trip and you would be very surprised at the size and quantity of the fish caught on handlines! If you wish, the Chef will cook up your catch for you the next day for lunch. If you would really like to go for the big ones, why not try some deep sea fishing. Please see Fun & Adventure page for more information. Diving around Viwa is some of the best in Fiji. You will be amazed at the variety of fish and coral in very close proximity to the resort. A short 5-15 minute boat ride will have you experiencing some amazing dive sites. And after an enjoyable day of doing as little or as much as you want you can look forward to a night of fun. The island’s string band plays nightly and they have a very wide repertoire of songs for you to sing along and dance to. We also have different theme nights which are a lot of fun. With only 11 bures, the number of guests at Viwa makes it perfect for a very friendly and personal experience! There is something for everyone and every pace at Viwa Island Resort! Children over the age of 16 are permitted at the resort at any time of the year.